GE 36 ft. Pre-Lit Holiday Classics Garland with Clear Lights , Avi Depot=Much More Value For Your Money! General Electric Holiday Classics 3-1/2 in. x 36 ft. - Illuminated decorating garland. 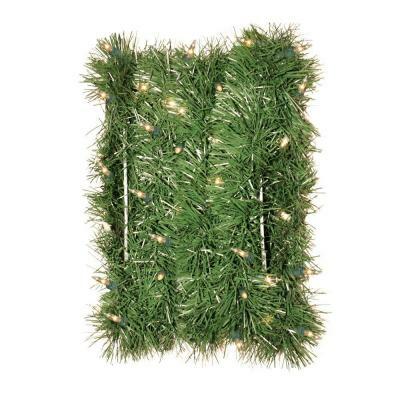 Green pine garland, green cord set with end connector plug and Clear color lights. Illuminated with 100 long life general electric Clear color lights. Indoor/outdoor use.